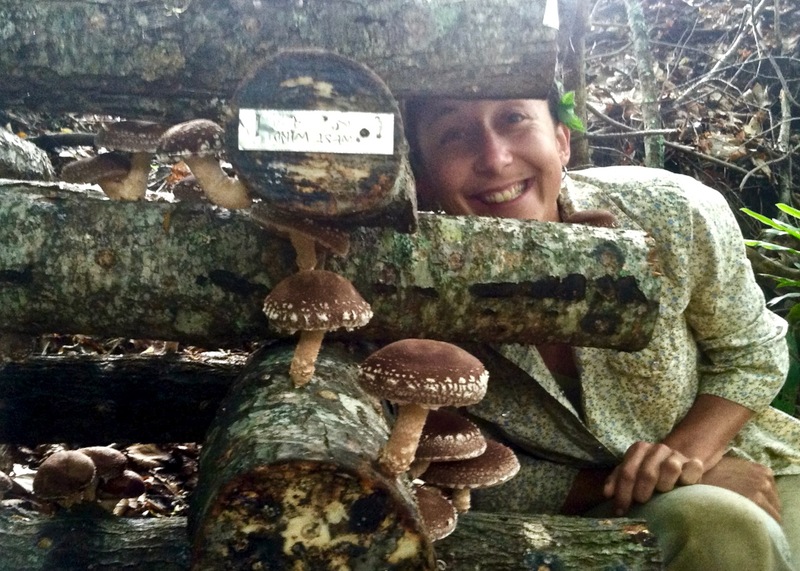 Homegrown mushrooms on inoculated logs are a fun and delicious addition to any garden or homestead. We’ve already gone into details about how to grow mushrooms, but here we’re going to focus on the difference between the two main forms of spawn: sawdust spawn and plug spawn. 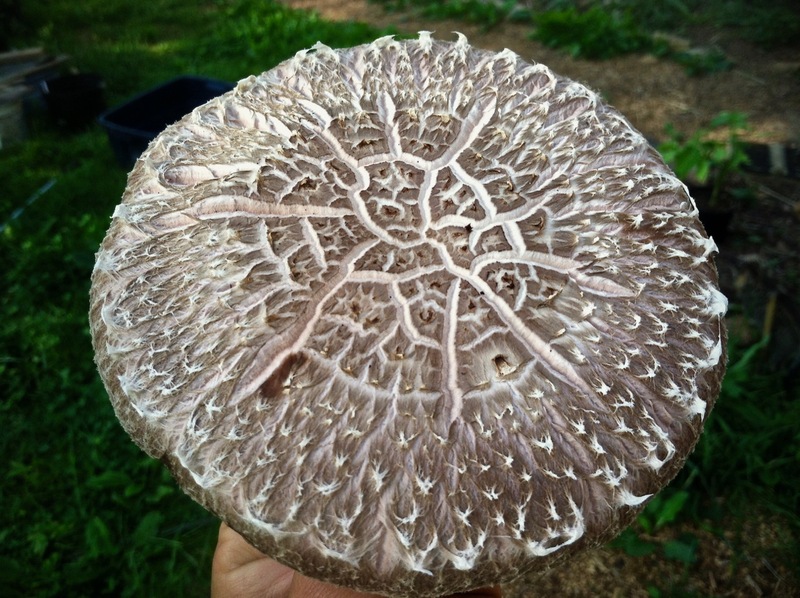 Want to learn hands-on about mushroom cultivation and lots more? Join us for our Permaculture Design Certificate Immersion. Mushroom spawn is simply a carrier substrate that has been inoculated with and colonized by a particular strain of mushroom mycelium. What is mycelium, you may be wondering. Well, technically, the word “mushroom” refers to the fruiting body of a fungus, and mycelium is the rest of the fungus. In fact, when you see a mushroom popping up from the forest floor or out of a rotting log (or an inoculated log), it’s just one tiny part of a much larger organism. 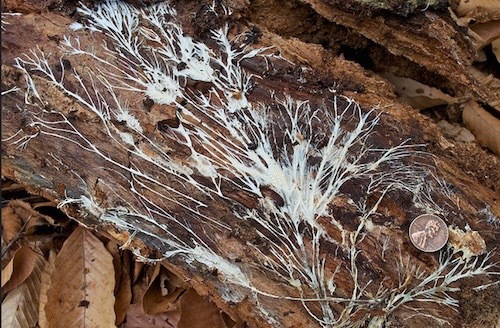 Mycelium is the stringy white stuff that you’ll find if you scrape away rotted leaves and other debris from around where a wild mushroom is growing. 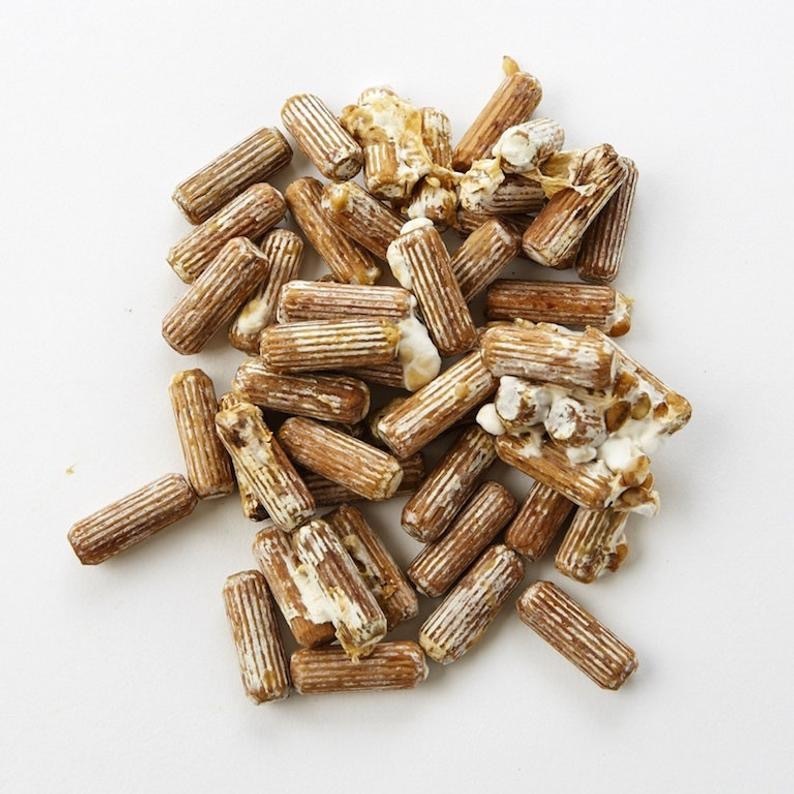 Additionally, you’ll see mycelium on the ends of your inoculated mushroom logs. 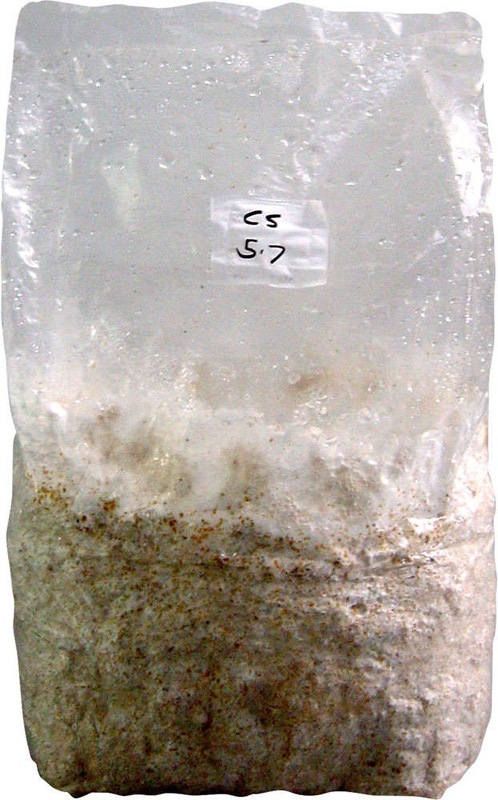 Mushroom spawn is a material that helps us transfer a particular kind of mushroom mycelium into a growing medium. As a result, we can cultivate tasty, medicinal, or otherwise desirable mushrooms. Hopefully, we’ve helped you sort out which kind of spawn is best for your project. If you’re ready to get started, we recommend Field and Forest Products for both kinds of spawn, along with all the other tools you might need. Additionally, they have a handy tree-species chart that tells you which species is ideal for growing which kind of mushroom. 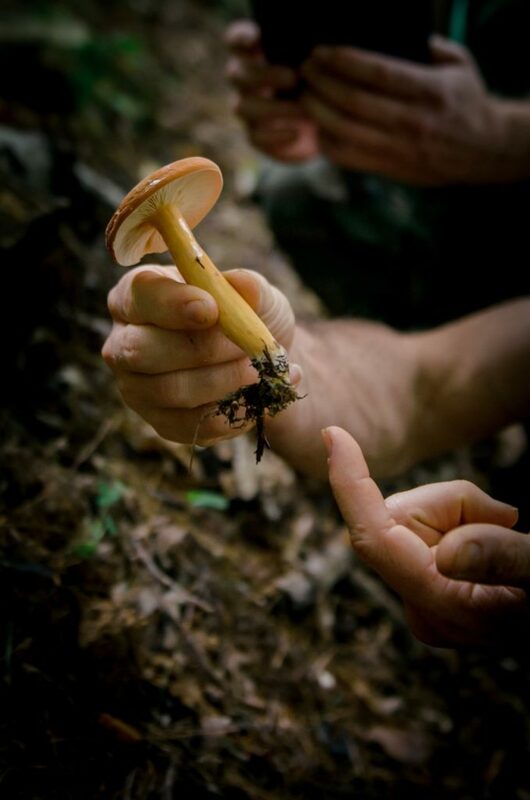 If you’re local to the Asheville area, our friend and guest instructor, Nate Brown, makes and sells small batches of shiitake and lion’s mane spawn every spring and fall. His email address is corvus.archer@gmail.com. In order to grow mushrooms on inoculated logs, you’ll also need fresh hardwood logs with undamaged bark. They should be cut in the early spring or fall and inoculated within a couple of weeks of cutting. In the event that you don’t happen to have a woodlot and saw available to you, we recommend contacting local arborists. They’re often willing to sell appropriate logs at a reasonable price. In this case, be sure to communicate the specifics about what you need, including the tree species, log size, importance of keeping bark intact, and that the logs need to come from healthy, living trees. Note: If you want to find these items locally, more power to you! If you’re going to buy them online, we participate in an associate program with Amazon.com. When you click on the links below, we benefit (at no extra cost to you). Income from this program goes into a fund that helps us continue offering free information and resources to everyone.